If your denim collection is anything like ours, then you most likely have an assortment of jean styles that you rotation each season. 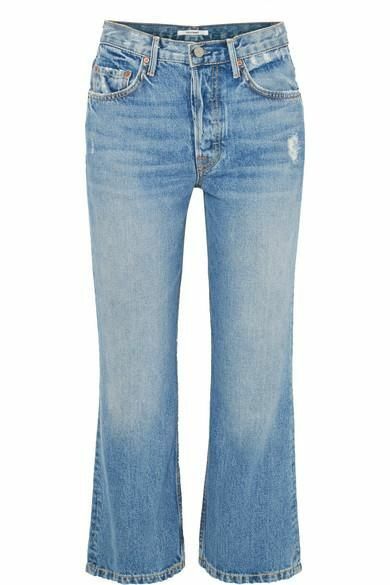 One of the denim silhouettes we’re favouring this spring is a simple straight-leg style. The classic fit is universally flattering and lends some versatility to an office or weekend look. When it comes to shoes, this spring we’re pairing statement slides with our go-to straight-leg jeans. The shoe-and-jean combination is a fresh way to step into the new season, and the pairing can perfectly take you from day to night. This post was originally published at an earlier date and has since been updated. Up next, how to tackle the neon trend if you're a low-key dresser.